Flatbush Family Dentist (Brooklyn) - Book Appointment Online! We are family friendly dentists with a great staff who are concerned with your needs. We Care about You! 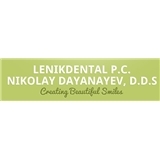 I have been going to Dr. Nikolay for fifteen-years. He had his practice in Bay Ridge for my first ten years but closed that office. I continued to go to him even though his second office is an hour away from my house. My wife ask me I still go to him given the trip. I would not go to him if he was not the best Dentist I ever had. No waiting time and great dental work and the office is very clean and he always gave me a good deal when work was not covered by my dental coverage. I can't say anymore. He is the best!! Paul J.